10 Foods That Can Kill Your Dog!! 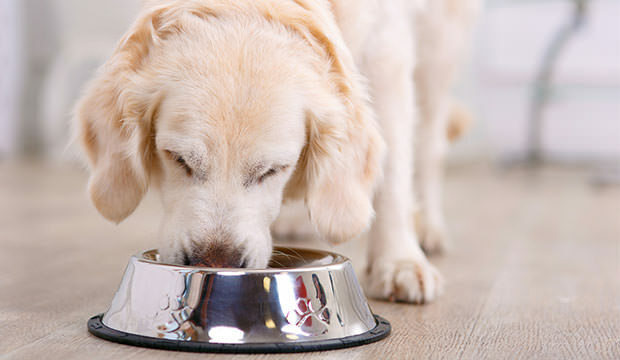 Sorry about the title, we don’t mean to sound so harsh, but keep in mind the harsh consequences of feeding your pup these foods. Just like humans, there are certain foods that may cause a bad reaction, and we have to be extra careful with our furry friends, because their “Do Not Eat” list is longer than ours. By now, the ‘no chocolate’ rule for dogs is common knowledge, but does everyone know exactly why? Chocolate contains caffeine and theobromine which fall under the methylxanthines category. The darker the chocolate, the more methylxanthines, which can cause vomiting, dehydration, abdominal pains, severe agitation, muscle tremors, irregular heart rhythm, elevated body temperature, seizures and death. Caffeine is a huge no-no for dogs, almost for the exact same reason as chocolate. Coffee contains a stimulant called Methylated xanthine, which causes vomiting, restlessness, heart palpitations and even death (Methyla ted xanthine will stimulate your dog’s nervous system). Why would you want to share coffee with your dog anyway? We know, we were confused by this one too, but listen. Bacon is rich in fat, and when it’s consumed by dogs, it can cause pancreatitis. Pancreatitis can cause an inflamed pancreas and prevent it from functioning properly. This will lead to digestion and nutrient absorption problems. There are foods on this list that make you wonder if there are really people feeding these things to their dogs, and we’re sure there are, but keep on reading so you don’t become one of them. If ingested enough, the harmful compounds in onions will negatively affect your dog. Onions can damage red blood cells in dogs, making them weaker and apprehensive about walking. Harmfulness level of onions for dogs? Think blood transfusion. We all loved to play pretend when we were kids, so let’s play pretend with our dogs and act like they’re vampires. Garlic is part of the onion family and is an absolute no-no for our canine friends. Garlic has compounds that are highly toxic for dogs. While the effects might not take place right away, the dog’s urine will be orange to dark red in colour, and like with onions, a blood transfusion might be required in severe cases. This includes raisins. While its currently unknown what chemicals and compounds are in grapes that cause sickness in dogs, the effects are devastating. Grapes and raisins can cause rapid kidney failure. Dogs can also vomit, have diarrhea an end up in a lethargic state. They will lose their appetite and will to move as well, and with kidney failure, death can come 3-4 days after. We’re seriously wondering what psychopath is feeding Rover macadamia nuts of all things, but let’s get on with it. Similarly to grapes, it’s actually unknown exactly why these nuts are bad for dogs, but they can cause vomiting, staggering gait, depression, tremors and hypothermia. Just because avocados are sacred to brunching, avocado toast obsessed millennials, doesn’t mean we get to share that same joy with our dogs. Avocado leaves, pits, bark and fruit contain a toxin called persin. It can cause an upset stomach, breathing difficulties, fluid buildup in the chest, but the most dangerous thing for them seem to the be the pit, which if swallowed, will lead to severe gastrointestinal problems. It’s really hard to imagine how a dog would gain access to dough, but here we go. Raw yeast dough can ferment in a dog’s stomach, becoming toxic. Along with toxic alcohol producing in the stomach, yeast dough can also expand in your dog’s stomach or intestines and create a large amount of gas in the digestive system. This will lead to severe gas, and possible rupturing of the gastrointestinal tract. Word of advice: When you’re done your apple, throw it in the GARBAGE (the only place the core should end up). Apple cores (and plums, peaches, pears and apricots) contain cyanogenic glycosides which is also known as cyanide. If your dog eats an apple core, they can experience dizziness, struggling to breath, seizures, collapsing, hyperventilation, shock and even coma. Yes, a dog gaining access to some of these foods seems a little (a lot) far-fetched, dogs can access almost anything if they put their mind to it. Also keep in mind that the effects these foods and toxins have on a dog are relative to their size and weight. Popular Preventative Toxic For Your Pet?